“One hundred years of photography in the French Armed Forces”. Eleventh episode. 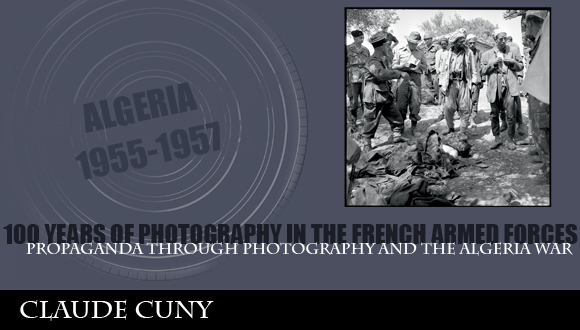 Claude Cuny : propaganda through photography and the Algeria War. 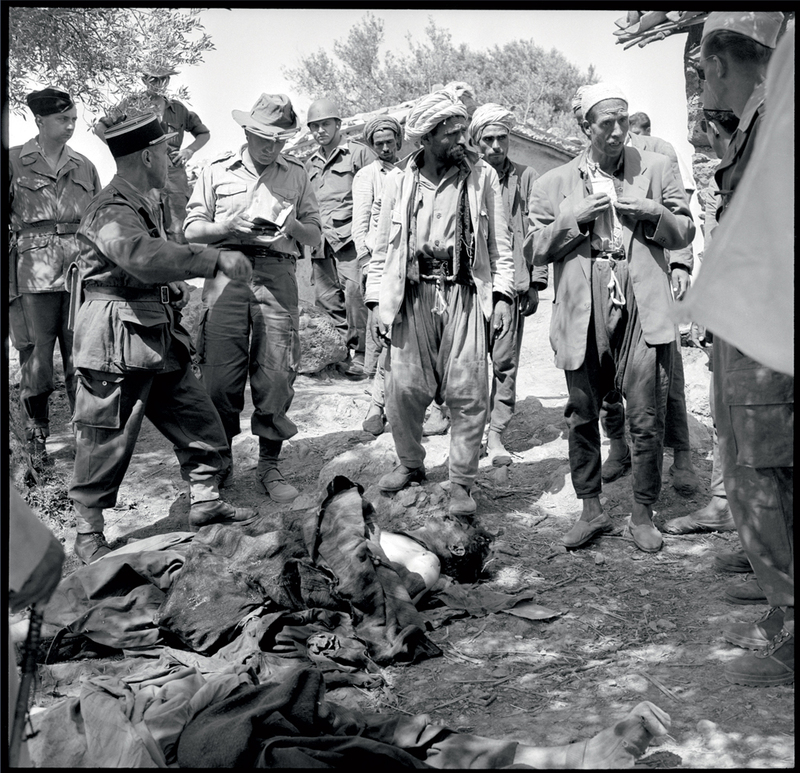 Images were a vital issue in the Algerian war. On the French side, the conflict was widely photographed by the army’s official staff and presented as an operation to maintain order and protect the people from terrorism. 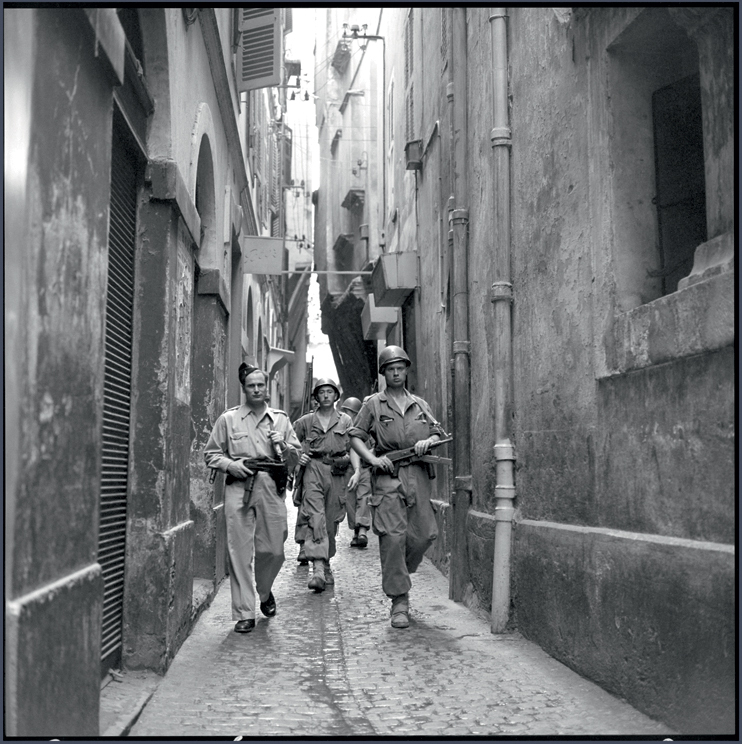 Centralised in Algiers, the armed forces film service (SCA) had a team of between seven and thirty operators, who travelled throughout Algeria at the request of the press and information office (BPI), which coordinated their activities. 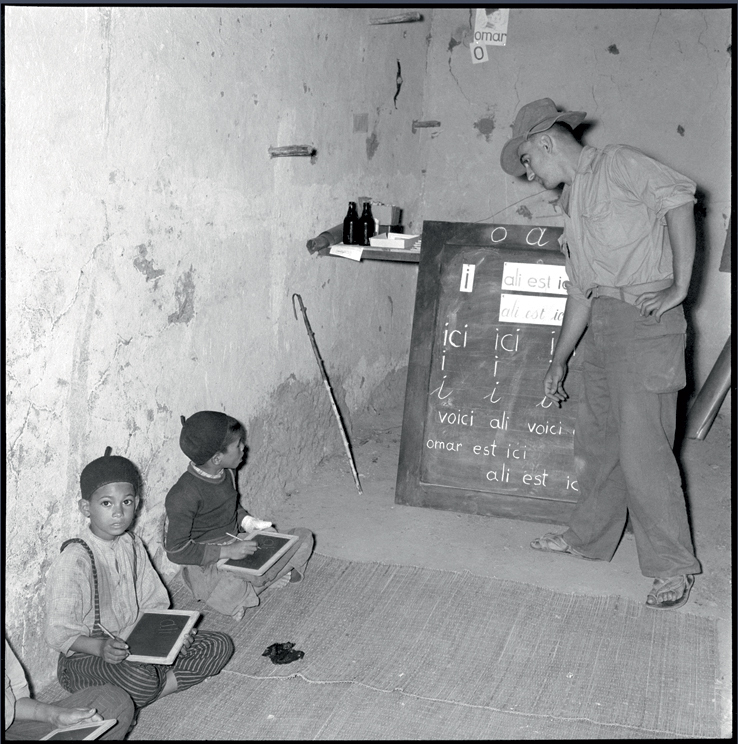 Mostly voluntary recruits, like Claude Cuny, the photographers had to supply images for armed forces newspapers, the international press and propaganda documents produced by the French authorities. 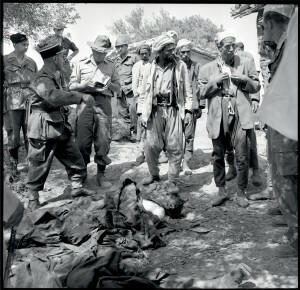 Although they had little access to military operations, they were sent to demonstrate that results were being achieved, photographing prisoner captures, weapons seized and enemy bodies, as in the two photographs showing prisoner surveillance and an interrogation of residents next to the corpses of rebels. 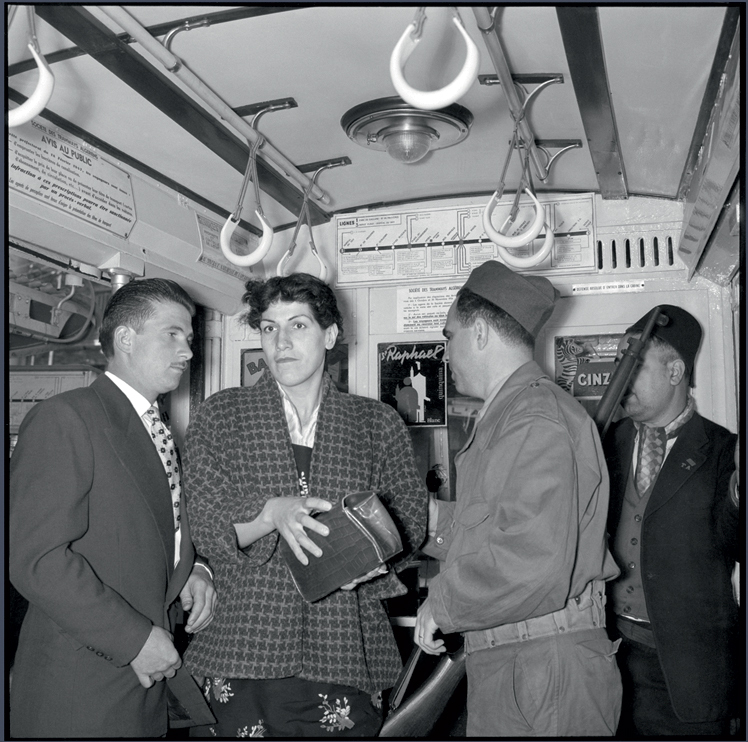 Protecting the population and peacekeeping operations were another major theme. In these images, designed to give legitimacy to France’s presence in Algeria, civilian and military life are closely interwoven. 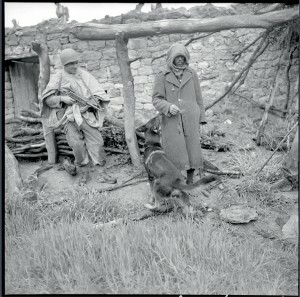 The aim was to show that France was educating, protecting and caring for the population and providing a shield against an enemy that was depicted as barbaric. Teachers and military doctors are recurring themes, helping the Algerian children and women, primary subjects of these images.